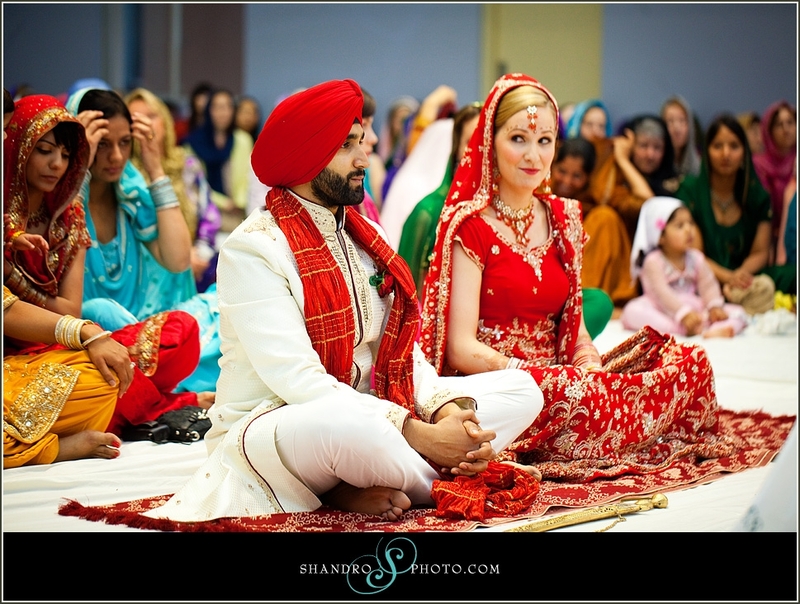 Every bride has hundreds of decisions to make when planning her big day, but for the brides planning multicultural weddings, there are twice as many decisions and balancing your own personal preferences with traditional South Asian customs can be tricky. 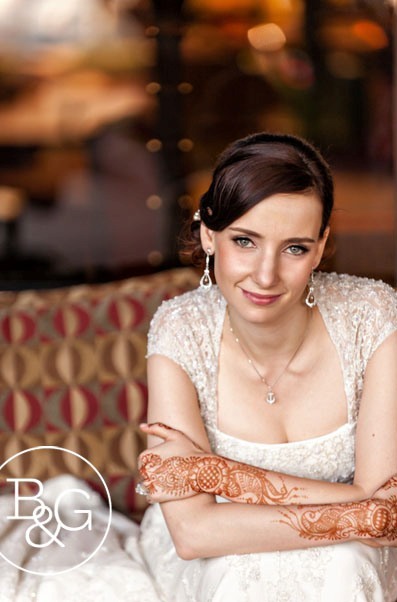 Every bride has hundreds of decisions to make when planning her big day, but for the brides planning multicultural weddings, there are twice as many decisions to be made, and for non-South-Asian brides who are getting married in a South Asian ceremony, balancing your own personal preferences with traditional South Asian customs can be tricky. 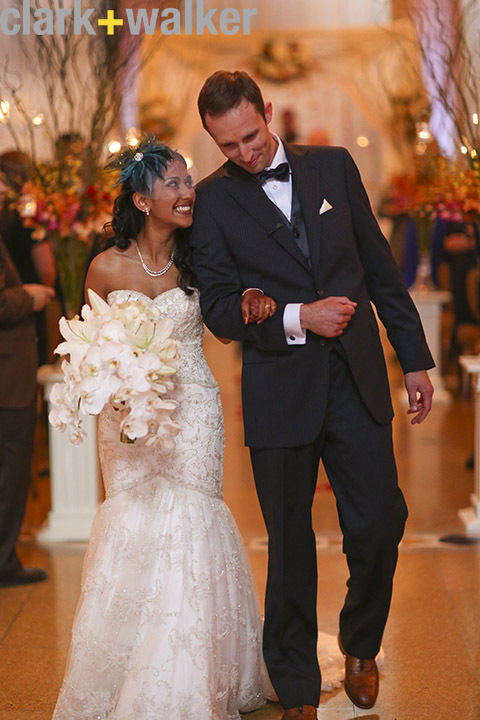 We're spotlighting five of the most common dilemmas brides face when planning a multicultural ceremony and giving you tips and ideas that will save the day and put those questions and dilemmas to rest! Does it have to be red? No! 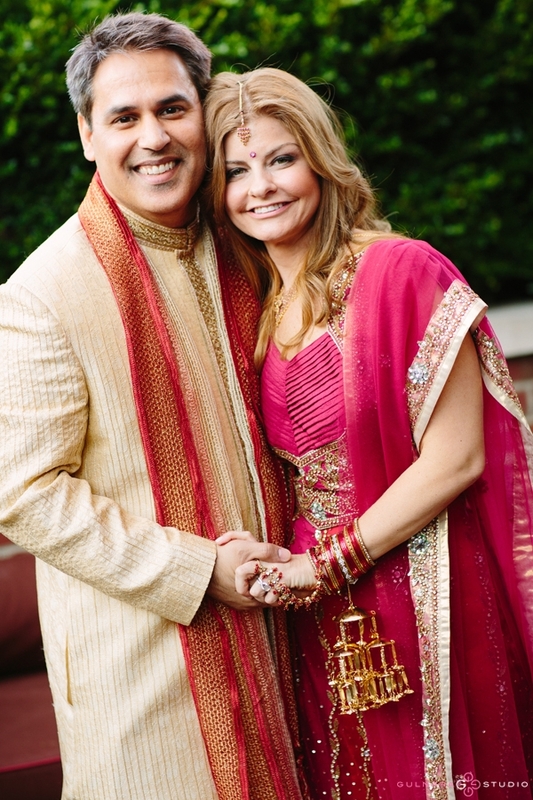 While most South Asian brides do choose a wedding outfit in traditional shades of red and maroon, the sky is the limit when it comes to the color of your wedding day wardrobe. 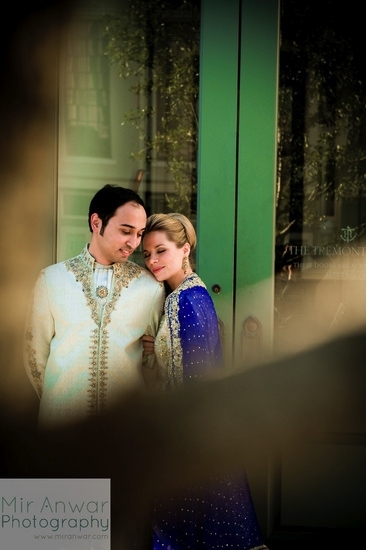 The beauty of South Asian weddings is the variety and multitude of colors that are incorporated into every aspect of the celebration. Be creative and choose whichever color best suits you and your wedding day theme. Dual-toned outfits in contrasting colors also give brides a ton of options when it comes to choosing the perfect outfit, and are also a great way to still incorporate traditional reds and maroons with another color of your choice. Do I have to wear a lengha or can I wear a sari? 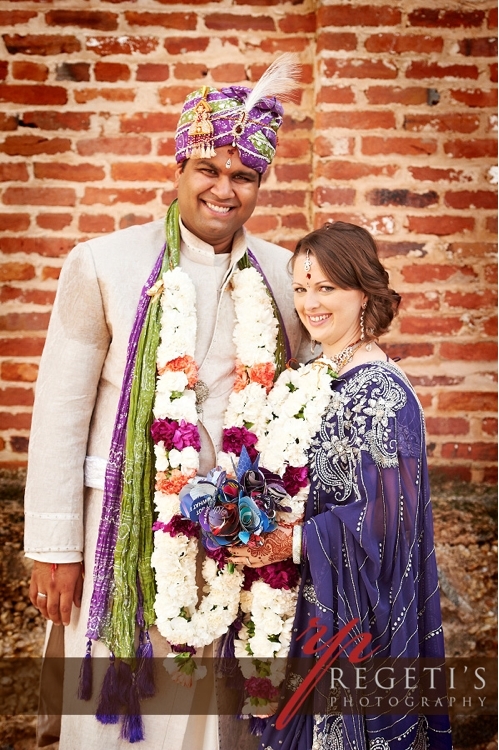 In some parts of South Asia, the sari is actually the traditional choice of outfit for a bride. Most brides today choose a lengha because they're often easier to manage, but if you're a bride who would prefer to wear a sari, go for it! You don't have to limit yourself to the traditional outfits -- empire-waist gowns with full skirts can easily be pulled off as a Western take on a traditional lengha while one-shoulder gowns can turn into your own version of a sleek sari. Some brides love to add a hint of sexiness to an otherwise traditional outfit with a short blouse top as part of their lengha or a sheer sari to bare their midriff. But for brides that are looking for a more modest option, there are plenty. 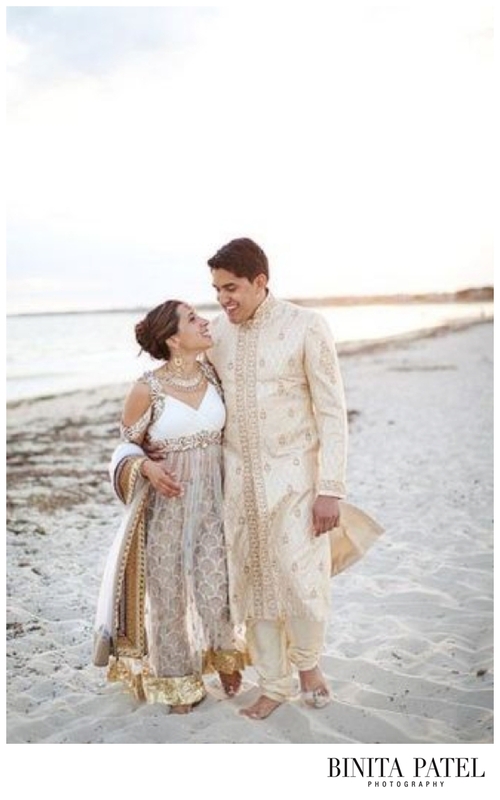 Choose a lengha with a longer blouse top -- one of the hottest trends this spring is the long-jacket lengha, which includes a top that can go down as far as your knees or all the way down to the floor. Saris are extremely versatile and can be draped and pinned in so many ways that you'll have your pick of how much skin you want to show. How should I wear my makeup to look still like me but with an Indian touch? If too much color intimidates you, focus on ways to make your makeup shimmer. Think neutral tones that will add some sparkle, including golds and bronzes. Glowing makeup pairs particularly beautifully against bright and colorful outfits. 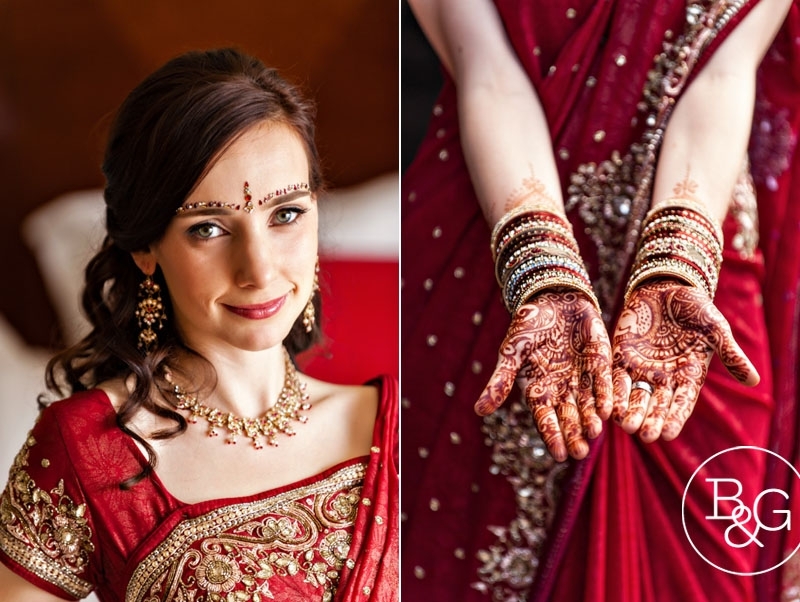 How can I add an indian touch to my western bridal outfit? 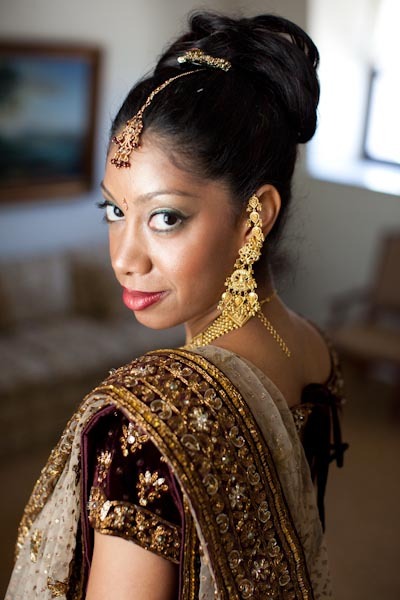 Accessories and details in your makeup can go a long way in adding a South Asian touch to your Western wedding outfit. 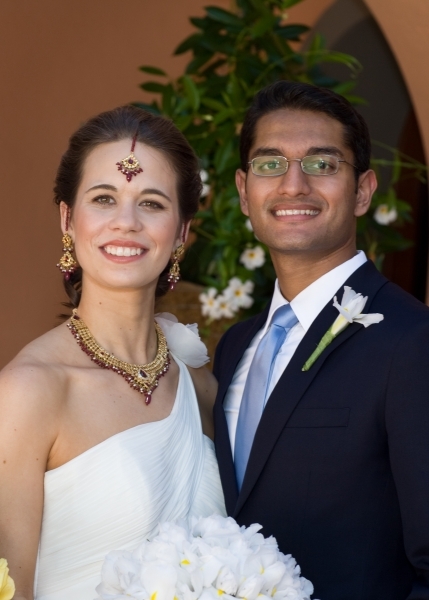 Try a statement necklace or earrings that will add some bling to your white wedding gown, or add a glittery bindi to your bridal makeup. 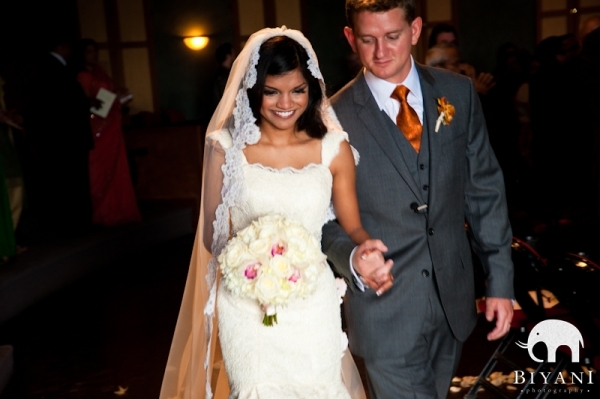 A large veil over your wedding gown will look just like a traditional dupatta. And don't be afraid of taking a look at South Asian outfits that have a fusion touch. Long dresses and lenghas in white or shades of cream are a perfect substitute for the bride that wants a white wedding gown with some South Asian flair!